Rotate the paper by 90 degrees. 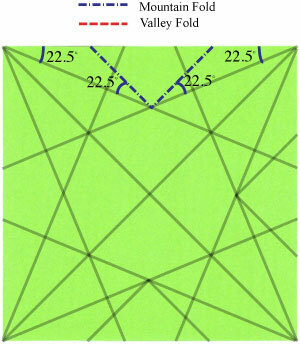 Prepare to apply two "mountain-folds" and then "unfold" . 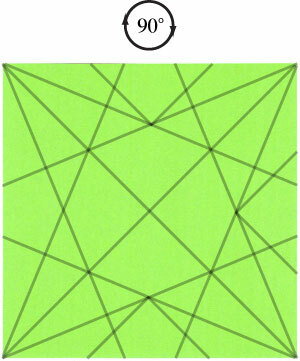 Apply two "mountain-folds" of the step #15 and then "unfold" . Prepare to rotate the paper by 90 degrees.